The global propylene oxide market is expected to register significant growth during the forecast period of 2018-2023. Owing to booming construction industry in the region, Asia-Pacific is expected to be the largest geographical segment. By end product, the polyether polyols segment accounts for the largest share of the market studied. The polyurethane produced from polyether polyols is used in both rigid and flexible forms. The construction and automotive industries are the major end users of polyurethane foams. Polyether polyols, used for the production of polyurethane, account for around three fourth of the global consumption of propylene. Due to its application as a cushioning and insulation foam, there has been a significant rise in the demand for polyurethane in the automotive sector. The growth of the automotive industry in Europe is expected to propel the growth of the market studied. 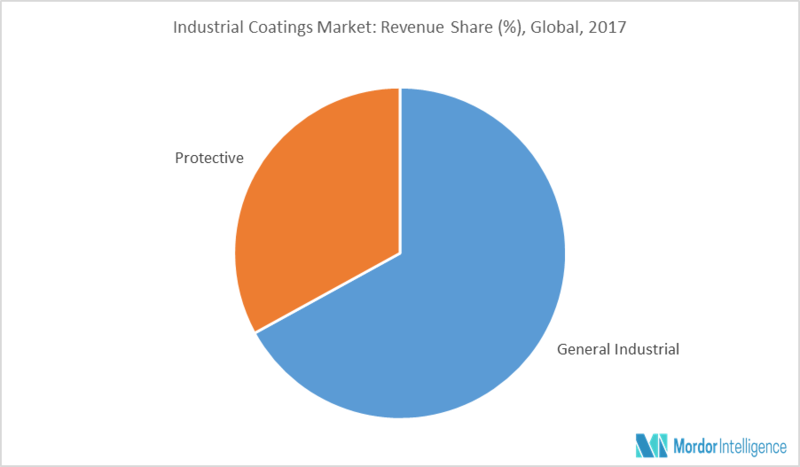 The increasing use of propylene derivative, polyurethane, in the construction industry, has helped the propylene market to have a strong hold in the building and infrastructure segments. Polyurethane is often used in rigid form in the construction sector. The recovering construction sector in Europe, in Germany and France, is expected to have a significant impact on the growth of the propylene oxide market. Moreover, increasing infrastructure investments in the developing regions of Asia-Pacific are expected to propel the growth of the market. The growing construction and infrastructure industry in Asia-Pacific acts as the major driver for the growth of the market. The Chinese transport ministry and National Development and Reform Commission (NDRC) have planned to invest USD 724 billion during 2016-2018, to construct 303 key transportation projects, including railways, highways, waterways, airports, and urban rail. Under the 13th five year plan (2016-2020), the Chinese government is planning for the infrastructure development of 30,000 km of railway lines and 30,000 km of expressways. The Indian government has declared a target of USD 376.5 billion investment in infrastructure over a period of three years, including USD 120.5 billion for developing 27 industrial groups, and USD 75.3 billion for road, railway, and port connectivity projects. These factors are expected to help Asia-Pacific retain its position as the leader, during the forecast period. July 2017: LyondellBasell announced plans to build the world's largest PO/TBA plant in Texas. Major Players: DowDuPont, BASF SE, LyondellBasell Industries Holdings BV, and Huntsman International LLC, among others. To understand the impact of stringent regulations on the market. Analyzing various perspectives of the market, with the help of Porter’s five forces analysis. The technology that is expected to dominate the market. The countries that are expected to witness the fastest growth during the forecast period. Identify the latest developments, market shares. and strategies employed by the major market players. 9.13 Air Products and Chemicals Inc.